Human skull and chest, computed tomography (CT) scan. This patient has been imaged using a volumetric rendering 3D technique. 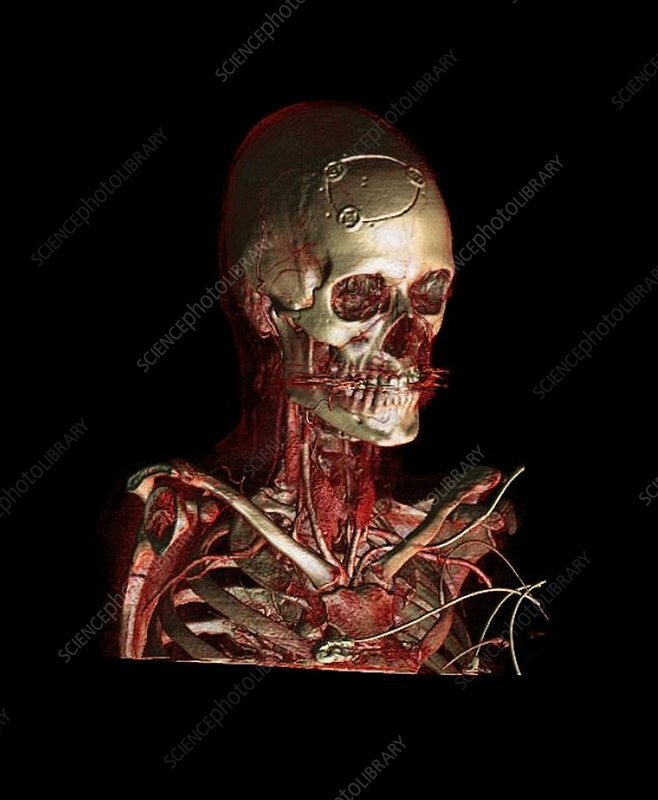 The skull, ribs, collar bones and blood vessels are shown.